The reputation of an attorney begins not in the courtroom, but in the eyes of the client. Building rapport is a two-way street and what a prospect thinks about an attorney is essential for gaining trust. Choosing the right attorney is no easier for a client than choosing the right client is for an attorney. The final decision always comes down to the initial consultation. A partner with Rajan & Rajan, LLP, Mahesh Rajan brings more than a decade of legal experience serving as one of New Jersey’s toughest practitioners and incredibly shrewd litigators. Mahesh graduated from Boston University where he earned a B.A. in Business Administration with dual concentrations in Finance and Operations Management, and later received his Juris Doctorate from Seton Hall University. Beyond the classroom, Mahesh was admitted to the New Jersey and New York State Bars. During his early years, Mahesh realized the need for full transparency within the legal industry. His solution and approach was simple: No matter the size of a case, big or small, he always fought to defend the rights of his clients. 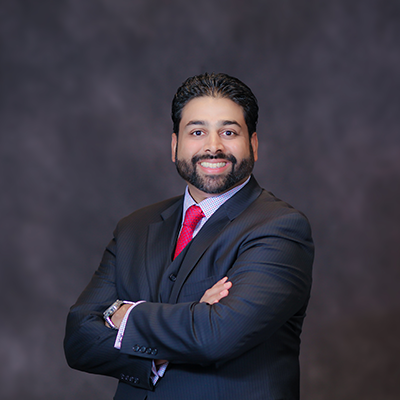 Whether negotiating and closing on complex commercial matters or guiding companies through multi-million-dollar transactions, Mahesh’s representation often extends beyond the courtroom. In addition to handling some of the most complex civil and matrimonial cases in the state of New Jersey, Mahesh also specializes in the purchase and sale of franchise and non-franchise establishments throughout the United States. The backbone of Mahesh’s practice is client satisfaction. From the initial consultation to the completion of service, Mahesh personalizes every experience with professionalism. He personifies the voice and professional image upheld by the firm’s longstanding reputation. If you are looking for an attorney who will listen to you, work with you, and fight for you, call Mahesh today. His honest, hardworking, and dedicated approach will certainly win you over. He looks forward to serving you.